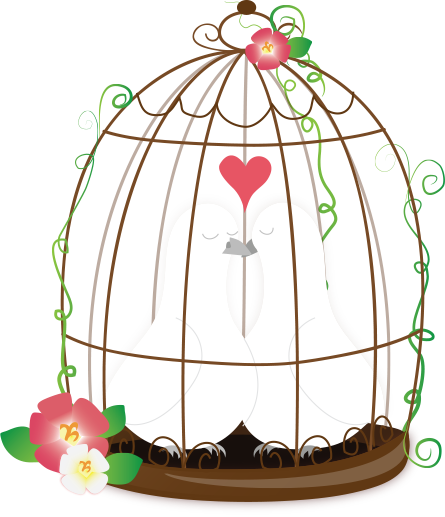 My eldest daughter and her husbands best friends are getting married today! 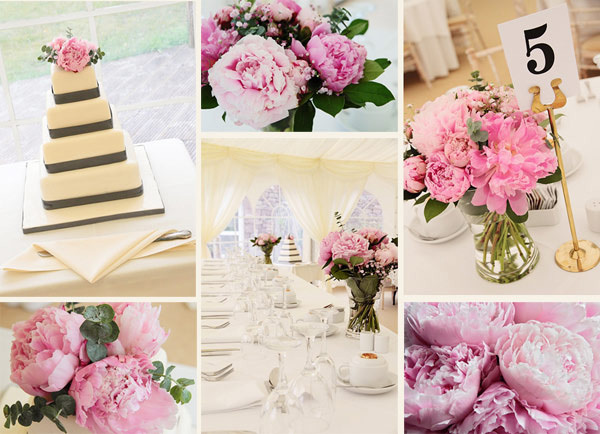 They are both in the wedding party…..so I thought I would repost about our favorite wedding flower….the peony. 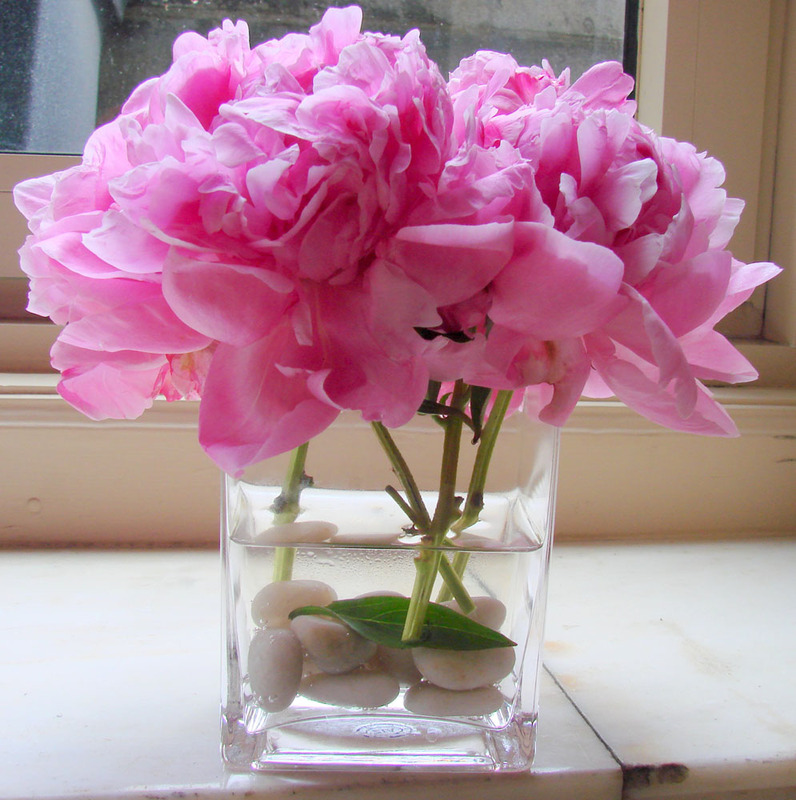 Peonies date to at least 1,000 B.C. These long-lived plants, some of which are known to survive for as long as 100 years, are prized for their sturdy foliage, lush blooms and sweet scent. Early American settlers brought peony plants across the ocean and planted them on American soil to remind them of the homes they had left behind. Peony blossoms come in shades of white, cream, pink, rose and deep red; yellow-flowered peonies are more rare. Obviously, I am partial to the pink peony! Although they bloom only in late spring or early summer, their glossy leaves remain an attractive backdrop to the perennial border throughout the growing season. Plants are available in both herbaceous (meaning that the leaves die to the ground each winter) and tree forms. The herbaceous Paeonia lactiflora, also known as the Chinese peony, is probably the best known and most widely grown. When first cultivated by the Chinese, peonies were bred to produce huge, double blooms. When the plant was introduced to Japan, it was hybridized to produce more simple flowers, which became known as the Japanese form. Paeonia suffruticosa, the tree peony, is a deciduous shrub usually between 3 and 4 feet in height, although some varieties can reach 6 feet. Revered since ancient times, the peony has numerous legends attached to it. It gets its name from a Greek myth in which Paeon, physician to the gods, angered his teacher Asclepius, the god of medicine and healing. When Asclepius threatened to kill Paeon out of jealousy, Zeus saved him by changing him into the lovely flower we know today as the peony. In another legend, Paeon is a mortal who is spared death by being transformed into a beautiful flower. The exquisite peony flower has long been a favorite of Asian artists and appears not only in painting but poetry and literature as well. It is a frequent motif in Chinese art, featured on screen paintings, clothing and woodblocks. The peony is also a much-loved subject of Japanese artists, who have used it to adorn tapestries and porcelain. European artists, such as Pierre-Auguste Renoir and Vincent van Gogh, also sought to capture the peony’s beauty on canvas. The ancient Chinese discovered that the peony’s bark, roots, seeds and flowers served as medicine. Mu Dan Pi, a remedy made from the bark of the tree peony, was believed to cool the blood and provide antiseptic properties. Chi Shao Yao, made from the roots of the herbaceous peony, was believed to cool the blood and provide pain relief. When the peony was brought to Europe in the 1200s, it was used to ease childbirth, ward off evil spirits and cure gallstones. Although peonies have been used continually in traditional Eastern medicine, they have not been used in Western medicine since medieval times. The buds and leaves of the peony are used in China to make a delicate white tea which many believe to have medicinal qualities. Together with the plum blossom, the peony is a national floral symbol of the country of China. The Chinese name for peony means “beautiful” and in Chinese culture the flowers represent riches, prosperity and honor. In Western culture, the peony serves as the symbol for the 12th wedding anniversary, and in the language of flowers, represents good fortune and a happy marriage. In Victorian times, it might also have represented bashfulness, since mischievous nymphs were said to hide in its magnificent petals. Peony for Your Wedding Flower? Picking the type and color scheme of flowers for your wedding can seem daunting. Though if you research a little and discover the romantic meaning of certain flowers you can narrow the field of choices down pretty quickly. 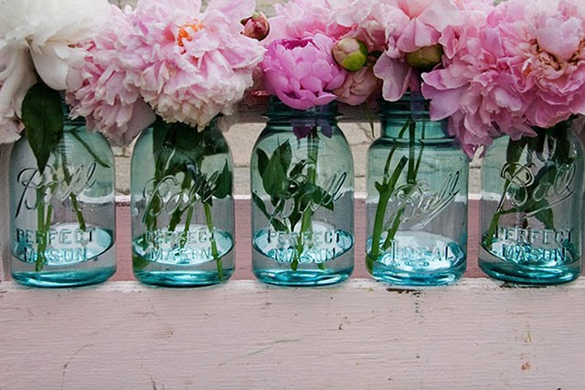 Todays expample will be the Peony, which means……………. Happy marriage, Bashfulness, Prosperity! An excellent choice to start your marriage off on the right foot, IMHO. There are lots of other flowers to chose from and we will cover them but today it is Peony day! Subtle and secret messages can be given by choosing flowers carefully. It is believed that the flower language began in Turkey during the seventeenth century. Romantic lovers began using floral exchanges to convey emotional messages using the flower meanings. The Victorians became very knowledgeable in the flower language and chose their bouquets carefully. Flowers gave them a secret language that enabled them to communicate feelings that the propriety of the times would not allow. Flower selections were limited and people used more symbols and gestures to communicate than words. I have listed a few flowers and their meaning below, and if you are still deciding, I hope that this will give a little inspiration and you will have fun choosing which flowers to select for your wedding flowers. This list includes what I think fits in best with weddings but feel free to look at the longer lists to see if something pops out that’s just right for your unique wedding. Note – Depending on the culture, quite different meanings of flowers are attached to the same blooms, so you may find variations. This is my short list of wedding flowers and thier meanings.